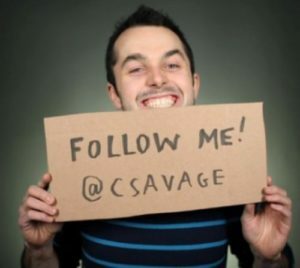 Today’s interview is with Wistia CEO Chris Savage. Learn about how he hacked his spending habits to extend Wistia’s runway and why t-shirts are still a valid marketing tactic. You’ll also learn about the direction in which video is going and why it’s important to be using video as part of your content marketing strategy today. Started in 2006 by two best friends who got involved in film-making at Brown. Initial idea was to create a portfolio website for film-makers. Eventually pivoted to a video sharing and analytics program that allows business owners to get insight on the performance of their video content. Video is more of an expectation. Consumers use video to determine whether or not businesses/websites are legit. More tools and platforms available for film-makers. Do things that don’t scale. Keep your focus on building trust in the early stages – even if the impact isn’t immediately measurable. Live as frugally as possible while growing your company (Savage and his co-founder were so cheap, they weren’t even willing to replace a broken coffee pot!). Let your revenue/customer growth get in front of your people growth. Don’t add staff members because it sounds impressive to have them. Don’t be afraid to cast a wide net. Instead of focusing on limited vertical, market broadly and get more targeted over time. Trust your gut. Only make changes if they’re in alignment with your vision or if you think they’ll get you the data needed to improve your vision. Content marketing is one of the most effective sales strategies today in terms of generating top-of-mind awareness. Don’t undervalue your existing users. Instead of creating unconnected content pieces, Wistia targets 80% of content pieces on average to get its customer base excited and 20% on reaching new audience members. Use Wistia and Youtube together. Youtube can drive traffic and generate traffic, then Wistia can convert website visitors derived from these content pieces to take action.